The neck of the peninsula of the Point is traversed by an ancient aboriginal trail, which dates back more than 4000 years. There are many Paleolithic camp sites along the trail, one of which is just north of Baby Point on Langmuir (now Humbercrest Blvd) stretching north to St. Mark’s Road.This ancient lakeshore trail would have come north to the break in the ravine and a fording location at what is now the Old Mill Bridge crossing. 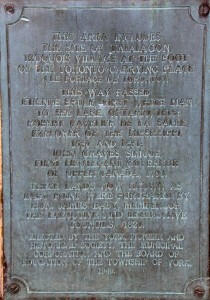 The Baby Point height of land which overlooked this important crossing – intersecting with what became the Carrying Place Pathway— commanded sight lines of both routes, and was a natural fortification site. The Seneca village of Teiaiagon was strategically located at this site, the limits of navigable water when paddling north from the mouth of the Humber River. 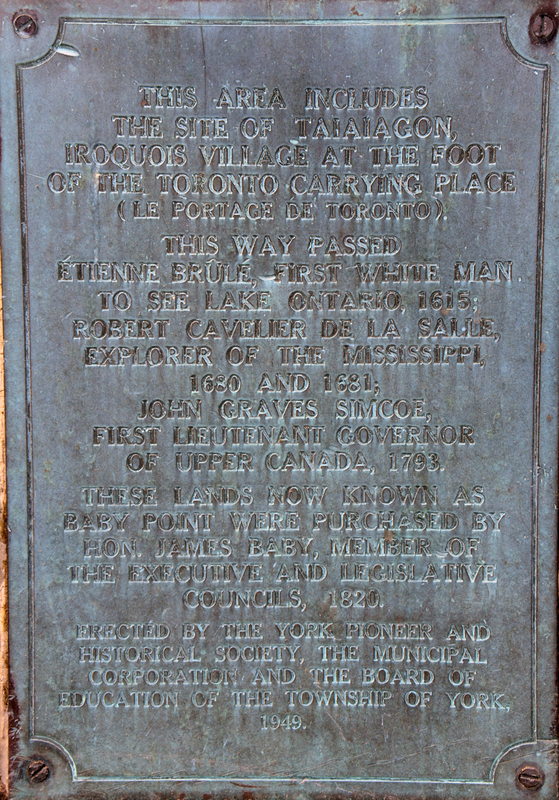 By 1700, the Mississauga First Nation (Ojibway in origin) controlled the Baby Point area, hunting and trading here. 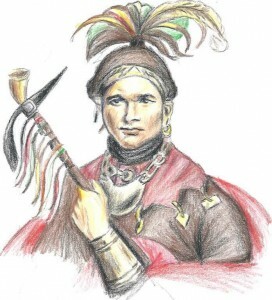 Now known as the Mississaugas of the New Credit, they were the First Nation of the Toronto Purchase of 1787 and 1805. The related land claims were settled at the end of May, 2010.